Yet centered around a sensitive young couple whose marriage implodes mere hours into their honeymoon, that line and all aspects of it – penned by screenwriter Ian McEwan in a terrific adaptation of his titular novel – will come back to haunt us in a number of ways from literal to metaphorical to filmic and sonic long before the picture is over. 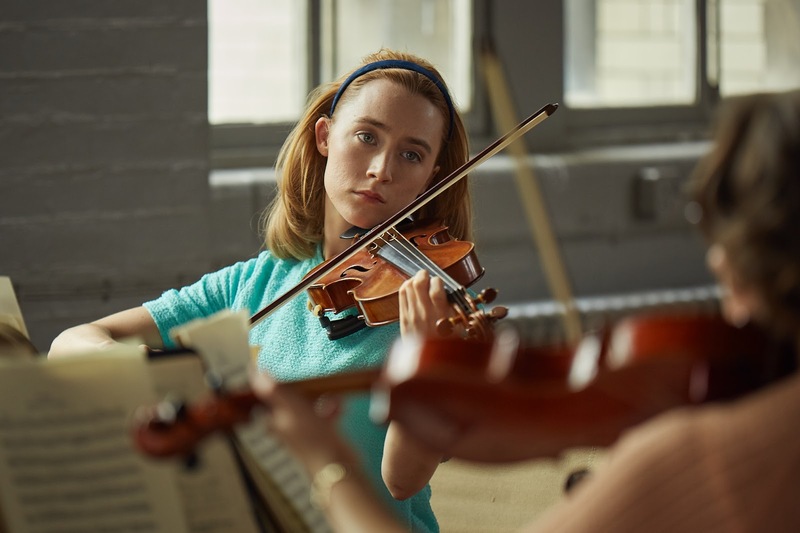 True for all of us but doubly so when it comes to a classically trained violinist and her pop music loving beau, it’s hard for love to survive when you just don't hear the same notes, in spite of the obvious (if awkward) affection on display in Chesil's lengthy first act which takes place inside a small, dimly lit, seaside hotel room. For in addition to being out of tune with themselves and each other, we're also given the impression that the two were born a decade too soon which is mirrored by the rich production design of a 1962 set work deliberately made to resemble something closer to 1952. Breaking up the theatricality of the opening sequence with some masterful flashbacks that show us just what first time feature director Dominic Cooke is capable of when he allows the slightly stagy film to move and breathe, we're given scores of scenes that reinforce Edward and Florence's need to communicate well and be heard, especially when they don't know what they want to say. 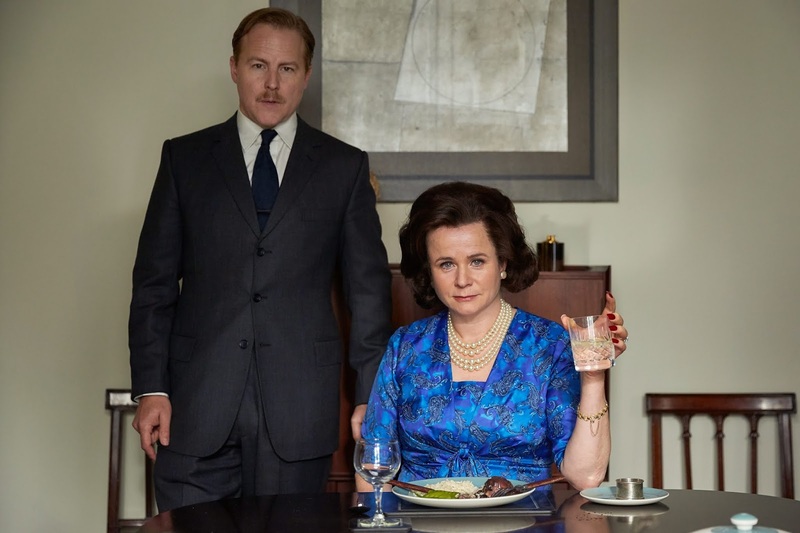 Along with snapshots of family dysfunction that run the emotional gamut and are wonderfully acted by supporting players including Emily Watson and Anne-Marie Duff, we're shown a few that revisit McEwan's musical motif beautifully. 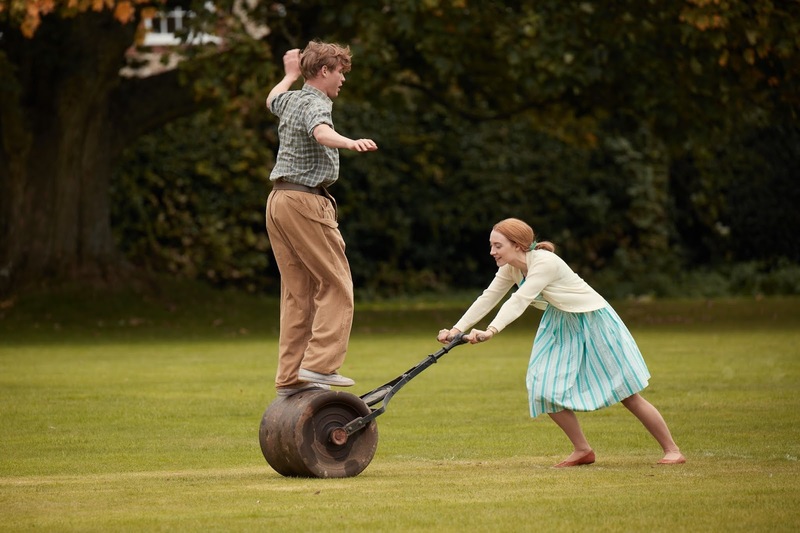 Then we understand that although it's the former Florence we meet at the beginning of the movie, it's the latter one she wishes to be as she and Edward approach physical intimacy. And once these thoughts and actions collide, Chesil becomes a heartbreaking reminder of how tragic miscommunication can be. Ironically published back in 2007 when Ronan made her Oscar nominated breakthrough starring in Joe Wright's adaptation of the author's Atonement, On Chesil Beach is based on McEwan's roughly 40,000 word novel which was shortlisted for the Man Booker Prize. Though static and a tad too restrained in the film's earliest scenes which resemble a cross between director George Roy Hill's Period of Adjustment and the Tennessee Williams stage-play upon which the 1962 film was based, Cooke's work grows more potent as it continues. 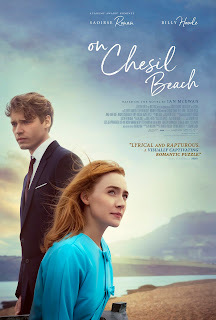 Featuring what's sure to be one of the best soundtracks of the year from BAFTA and Ivor Novello award-winning composer Dan Jones, On Chesil Beach is filled with the romantic sounds of Haydn, Beethoven, and Schubert violin solos performed by twenty-three year old American virtuoso Esther Yoo, which offer even greater insight into our characters when words (or notes) fail them. And while it'll be hard to persuade audiences looking for a romantic date movie to queue up for McEwan's honeymoon breakup film, somehow in the hands of this talented cast and crew, it becomes an infinitely swoon-worthy, stylistically '70s picture adjacent reminder of what could've been for Florence and Edward – two time travelers, ever-drifting in and out of time – who just never seem to be in rhythm.